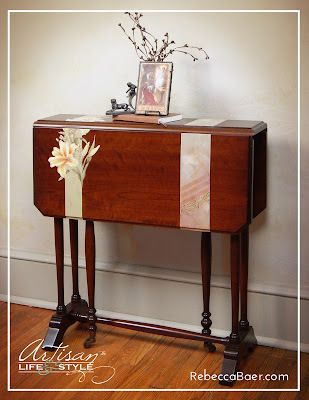 An antique reproduction drop leaf table crafted of solid cherry hardwood. This furniture piece is a one-of-kind hand painted floral, Rebecca Baer® original. 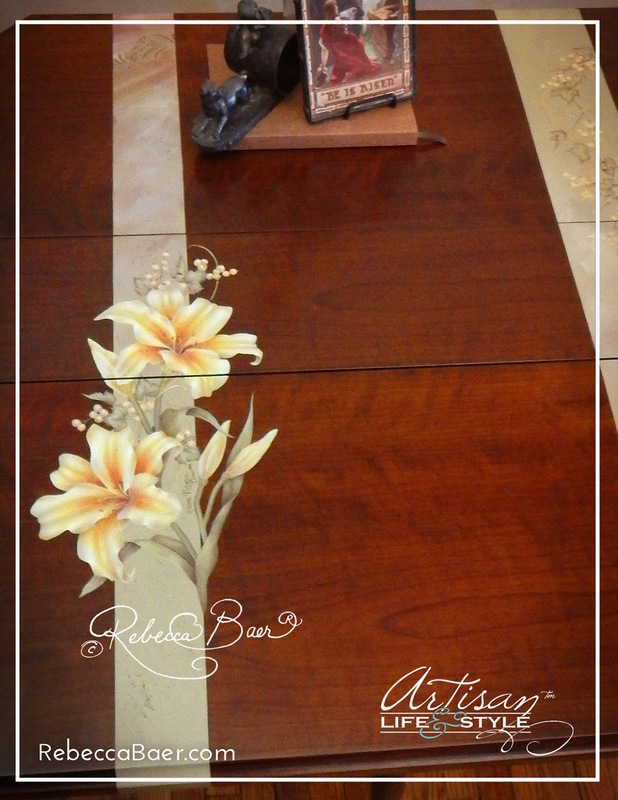 The soft yellow lilies create a striking contrast for the beautiful woodtones of this solid cherry hardwood table. The design continues from the drop to the top and across to the other drop making this a gorgeus accent piece whether fully opened or closed for display off to the side. This table was manufactured by Brandt Furniture of Hagerstown, MD. 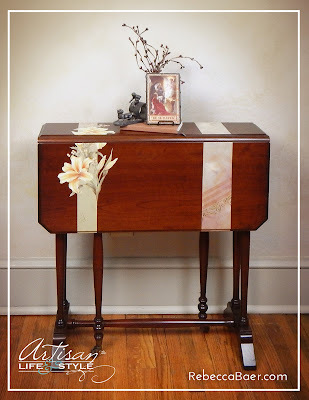 It is a brand new, antique reproduction (not refinished/upcycled). The final finish over the painting was applied by the factory. 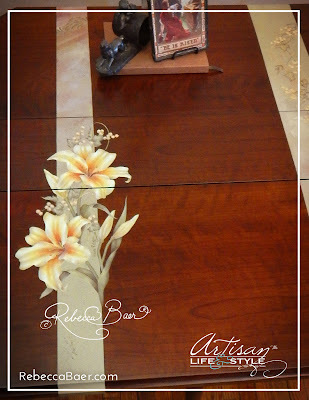 Artisan Life & Style. Just use the contact link above to set up a time. This item can also be purchased online. Available for pick up in Hagerstown, Maryland. Delivery/shipping is available for a fee. Opened top: 24" x 25" (10" leaves) Footprint:9 1/2" x 24"